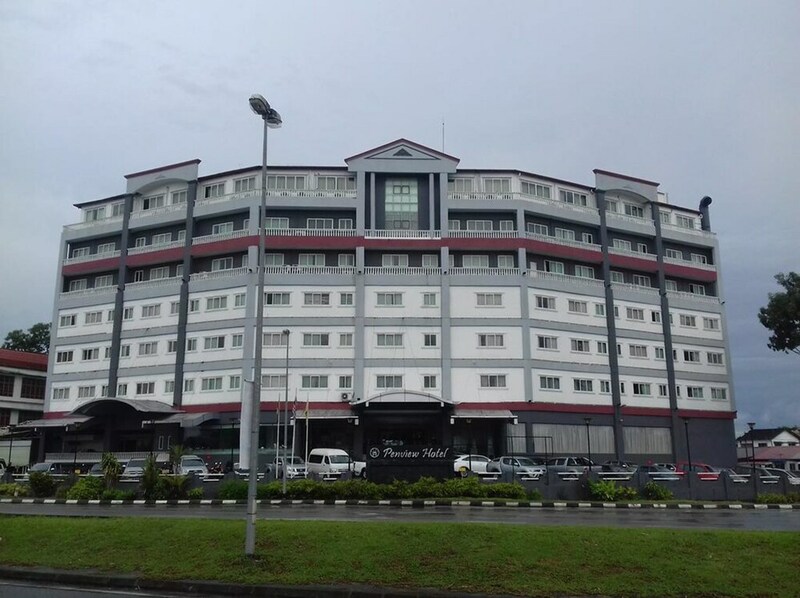 Situated near the airport, this hotel is 1.8 mi (2.9 km) from Sarawak Convention and Exhibition Centre and 2.5 mi (4 km) from Vivacity Megamall. South City Park and The Spring are also within 3 mi (5 km). A restaurant, conference space, and dry cleaning are available at this hotel. Free buffet breakfast and free WiFi in public areas are also provided. Other amenities include wedding services and a banquet hall. All 165 rooms offer free WiFi and room service. The hotel offers a restaurant. A complimentary breakfast is offered. Public areas are equipped with complimentary wireless Internet access. For a surcharge, a shuttle from the hotel to the airport during limited hours is offered to guests. This Kuching hotel also offers dry cleaning/laundry services, room service (during limited hours), and an elevator (lift). Penview Hotel has designated areas for smoking. Penview Hotel has a restaurant on site. Rollaway/extra beds are available for MYR 135.0 per night. Cribs (infant beds) are available for MYR 10.0 per night. This property offers transfers from the airport (surcharges may apply). Guests must contact the property with arrival details before travel, using the contact information on the booking confirmation. Alcohol is not served or permitted at this property.